I do not know much about classes and game mechanics yet, but after his first level of fighter or rogue Eder must become a ranger so he always has something fluffy to pet. I will take the type of animal that has most hair. I hope there is an idle animation where rangers pet their pet. I hope there is an idle animation where rangers pet their pet. OMG, I would love that! My favorite class is the ranger just for the animal companion. I've been asking for more ranger/animal companion bonding from day one. This would just make my game. Edited by Faerunner, 10 February 2017 - 07:41 PM. Flying wolves actually because... bird chimes. Edited by Boeroer, 11 February 2017 - 04:59 AM. Maybe we'll even get a ranger who has (temporarily) more than one pet? I could muster some interest in a swarm ranger and the swarm could fit the bill by hatching larvae from the corpses of your enemies. I'm not sure Eder would enjoy petting them, though. I vote for a ranger with a swarm of hamsters. Talking miniature giant space hamsters, of course. GO FOR THE EYES BOO ! ! ! Would that be a pack of hamsters? Or what's the correct term? I just looked it up and oh my god it's awesome! 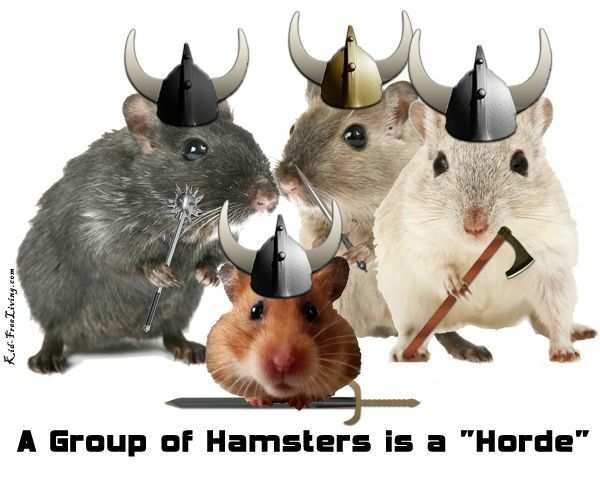 The correct term for a group of hamsters is a horde! That's right, officially they form hordes! Edited by FlintlockJazz, 13 February 2017 - 03:09 AM. Swarm Spiritshift would be awesome! Don't know (yet) what it's good for though. One way to go with it is lower damage output in exchange for attacks causing targets to suffer afflictions/penalties. Alternatively, it could be more about mobility/versatility - the druid might be able to split themselves up into separate collectives as they advance, for example. I'm not really sure that a swarm of flies/horde of hamsters/murder of crows/whatever else casting spells makes any sense, so maybe that should the tradeoff. Edit: Actually, I thought of Many-as-One just after I posted that. I say leave spells in so that we too can play the part of a supernatural hivemind. Edited by blotter, 18 February 2017 - 02:23 PM. Would be cool if the swarm would be immune to pierce/crush/slash damage and did damage just by touching enemies. Like a moving harzard field that Dragon Thrashed is. But smaller of course. Basically like a walking AoE DoT spell. Hamsters should cause blindness on hit or crit. On the topic of Spiritshift, perhaps Eder could take levels of Druid. Then he could always pet himself... okay that sounds wrong. I would enjoy it more if Eder becomes a gunpowder fighter. He just realized that guns are much better than old-fashioned swords or maces. So he just goes around and shoots people in the head. Using heavy armor of course to counter puny xaurip attacks - i.e. they try to pierce him with a pathetic spear but graze and then he shoots them [in the head as I said], ... So, do you like the idea?